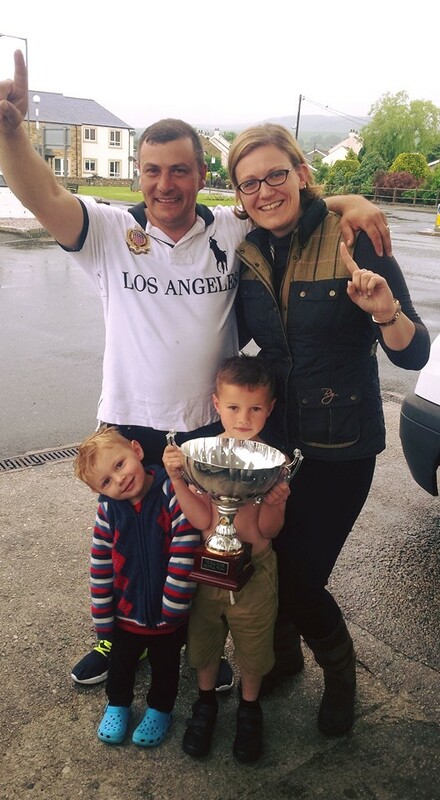 Harness Racing in the UK: 2016 Season: Week 7 - A bit of something for everyone! 2016 Season: Week 7 - A bit of something for everyone! On Thursday night (16th June), racing returned to its historical week night slot with the SHRC 3YO Derby, split into a colts division and a fillies division, the feature event of the night. I'm a sucker for a grey, so was delighted to see Porcelain Seelster winning after finishing runner up to colt winner Jacks Red in the 2YO Futurity at the track last year. I may have gone a little OTT with the level of detail (as Steve Wolf joked with me) but the article was written whilst travelling in the car to Tir Prince on the Saturday afternoon and I'll admit, it killed a considerable chunk of time on the M6. The Saturday night was spent at Tir Prince, where we witnessed Jessies Conquest display one of the most impressive performances I have ever seen any horse give. Having been hampered at the start by a galloping horse, and subsequently being left maybe 20 lengths behind the leader, Marc Jones would have been forgiven for settling her far at the rear and using the mile for a workout. He may indeed be the only driver in the country who would have attempted to actually win the race. 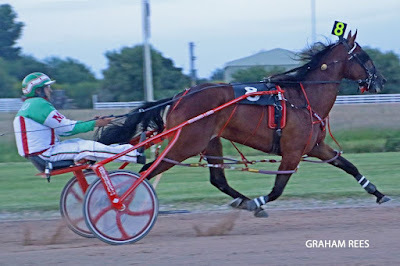 But then, he is the only driver ever to sit behind the filly who was voted 2015 BHRC 2YO Filly of the Year by all the member organisations and BHRC Council. Only he truly knows what she is capable of. She not only caught up with the field, but came four wide around the penultimate bend to romp home the most worthy of winners. This was made all the more impressive considering she was racing seasoned campaigners. I'll not forget that performance for a while. Another impressive performance came from Brywinsmagicpotion in the Crock of Gold heat when he showed his class to sprint home clear of Porterstown Road and Imjustalittleguy who themselves put in good performances. Great to see Magicpotion winning at the highest level, because Lord only knows how tough it is to win at the top against the likes of Stoneriggs Mystery. The evening was slightly marred by the lengthy stewards' enquiry following the final race in which Ayr Mission had the race taken away from him for an incident which seemingly mirrored an incident the weekend before at Monmouth. On that occasion however, the driver was fined and the horse kept the race. Perhaps there was more to it than first met the eye. Who knows? Rather than drive all the way back to Scotland, which would have seen us getting home around 3am, and then heading back down to North Yorkshire the following morning for Hellifield, we stopped over near Warrington at the venue which staged the inaugural STAGBI & BHRC Awards night back in February. It was twelve months ago on this weekend that we first discovered the hotel, which seems to have become the first choice venue for the event going forward following a lot of positive feedback from the Welsh, English, Scottish and Irish people who attended this year. On Sunday we set off for Hellifield, with a quick pitstop in the heart of Skipton. It was here that we paid a visit to Sam Harrison at his home, and he then took us to see Saunders Beachgirl and Cliff. It was great to see my little man, who is not-so-little anymore. Neither of them were remotely interested in seeing us, although that may have had a lot to do with the fact that Sam was waving a bag around rather exuberantly and shouting. That isn't really Beachgirl's style! From there we drove the short distance to Hellifield, an enjoyable and well-supported meeting which hasn't always been kind to us as bookmakers. The rain held off until the last few races, and there was plenty of good racing on offer. Mikey Camden won his heat and the final for Frank and Raymond Huschka and Willie Forrester, but the performance of the day for me came from everyone's favourite, Afan Romeo. I have a hypothetical stable, full of horses I wish I owned, or the type of horses I wish I owned, those with hearts bigger than themselves and a built-in radar which means they always know where the finish line is. Afan Romeo is in this stable. He has been since young Mac McMeekin (Jonjo's boy) was winning on him (he won here the year before, when Mac was only 15 and in the bike). Romeo changed hands during the winter and joined the Ralph family, with Ronnie, his wife Maria and their four children who are all under the age of 10. I saw the most heartwarming video on Facebook a couple of months ago, with Ronnie's three eldest grooming Romeo who was standing in the crossties like a statue whilst the three youngsters plaited him, brushed his legs, hugged him and patted him all over. It was such a lovely thing to see, a racehorse in training displaying such patience and gentle awareness of his small caretakers. And that was the weekend in a very brief round up. From juvenile racing around the smallest hard track, to FFA racing on the biggest hard track, to handicap heats and a final on a grass field in North Yorkshire, this weekend had it all. I was glad to be a part of it! - people who take issue with things that don't concern them. - patriarchal views (I'm no feminist, but I have a voice). AFAN ROMEO is my hero and the love of my life. Best horse in the world.